I need my reports to show a different currency. Currently everything is converted to U.S. dollars. Can I change this? To change your default currency, navigate to "More > Click on Your Profile > Currency" in your Veryfi mobile app and select the one you prefer. 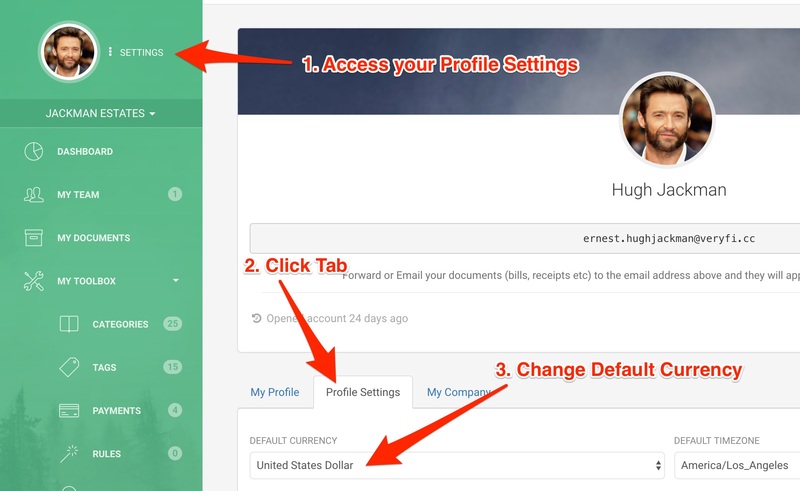 You can also do this through the web portal by clicking on your Avatar (Profile Settings) and changing the default currency under "Profile Settings".